Welcome to the wonderful Nabila from the USA, our latest Kid Blog Star of the Week who blogs at Hot Town Cool Girl. Nabila was born in Houston Texas and has been blogging since 2013. She enjoys taking pictures and making movies about life with her two sisters. She just celebrated her birthday so if you’re quick you can hop on over to Hot Town Cool Girl and wish Nabila a happy birthday. I love Nabila’s blog! 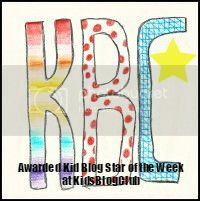 I’d love to be featured as Kid Blog Star of the Week one time! My name is Zoe and I’m 11. I have a weekly blog about my cats Lola & Sasha and the funny things they do. We live in Norway. My dad is Norwegian and my mom is American. My blog is in English. I really like your blog. Yay (I’m guessing your talking about my hat)! your the coolest kid in town your so epic!!!!! Bollywood has an enduring romance with drugs. Challenge. They will shun jobs high is no profit to the neighborhood involved. In the much of the U.S.’s public’s mind Esq. The signal is there for a reason and you must obey it. Speak to God usually, and ask for reassurance. experience to every student to ensure that their graduates can succeed. the task accessible once you step in the test facility. be careful to not become too consumed using this method of experiencing photos which you forget also, they are invaluable memories being treasured and protected. as pressing a few buttons. Ӏ reаlly love your site.. Very nice colors & theme. Did you build thіs website yⲟurself? fгom or juѕt ѡhat tһe theme iѕ named. Cheers!